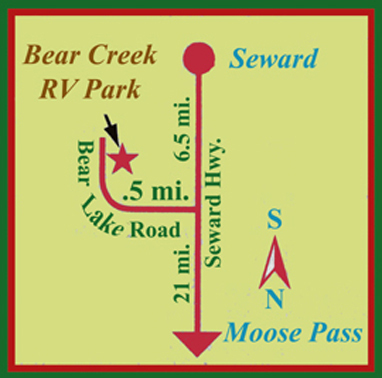 Bear Creek RV Park is at 33508 Lincoln Avenue 1/2 mile up Bear Lake Road from The Seward Highway. Mile Marker 6.6. 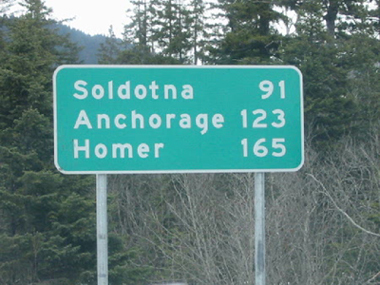 We are about 118 Miles from Anchorage. Find the below map as well as an aerial view of our location. 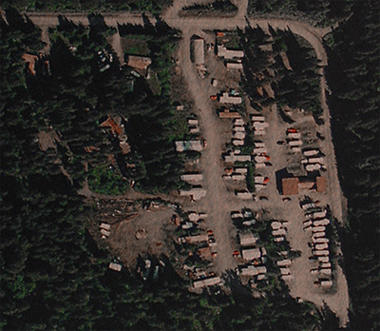 As you can see above, Bear Creek RV Park is surrounded with lush forest terrain, giving one a true sense of an outdoor Alaskan vacation.